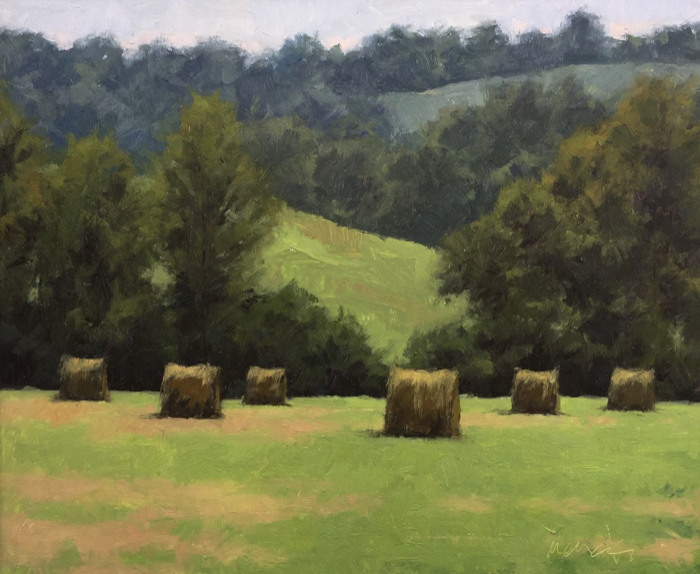 “Being a representational painter I am constantly striving to paint as I see things, the values, colors and textures I see before me. 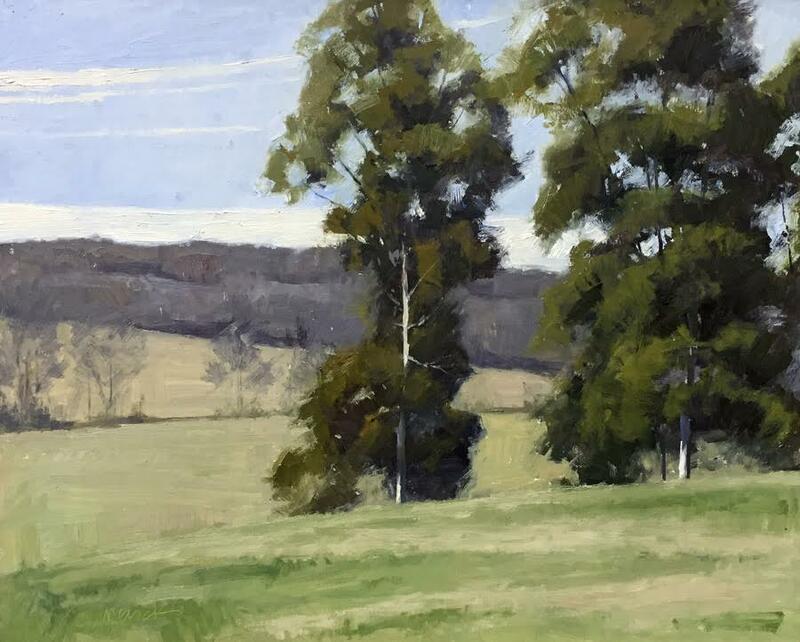 As easy as this may sound, I have found painting from life, especially landscapes, to be one of the most challenging and rewarding things I have ever tried. 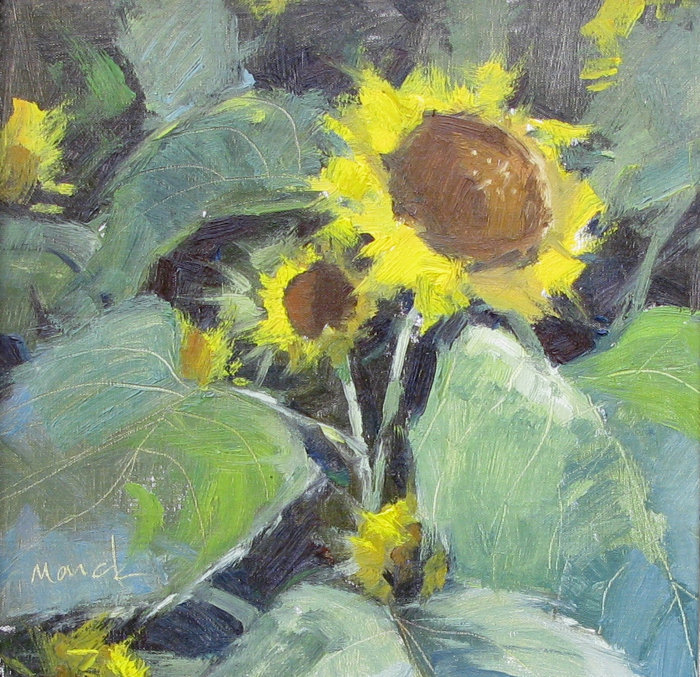 It’s a constant process of learning and experimenting and painting, painting, painting. 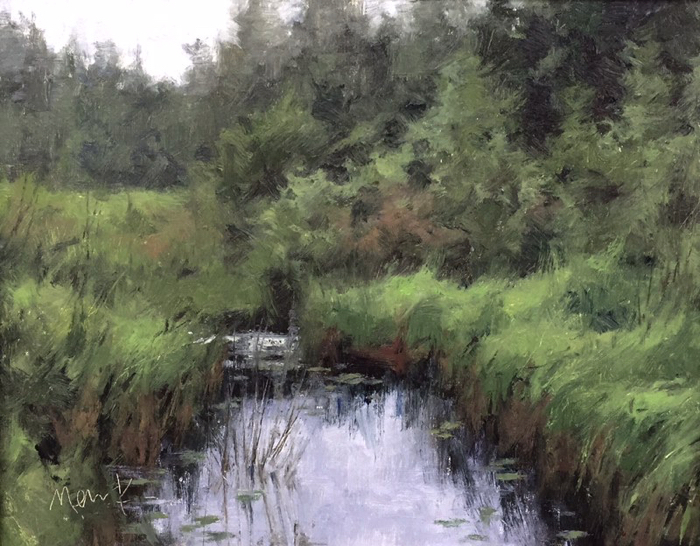 — I am not sure I do this because of my love of art or of my love of the land. 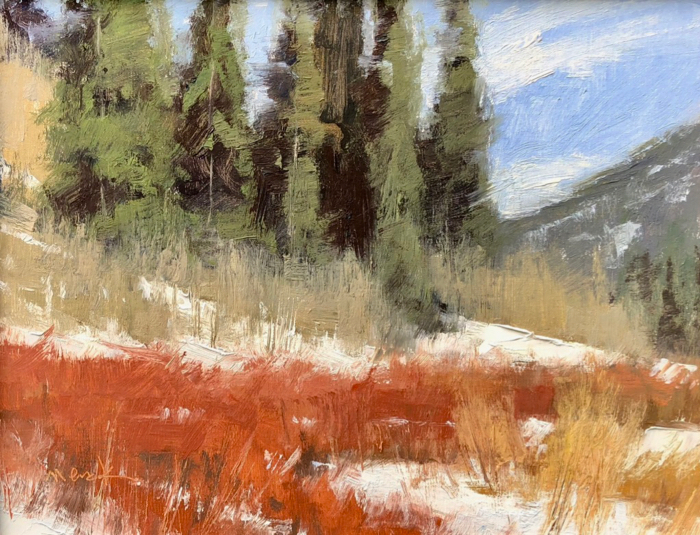 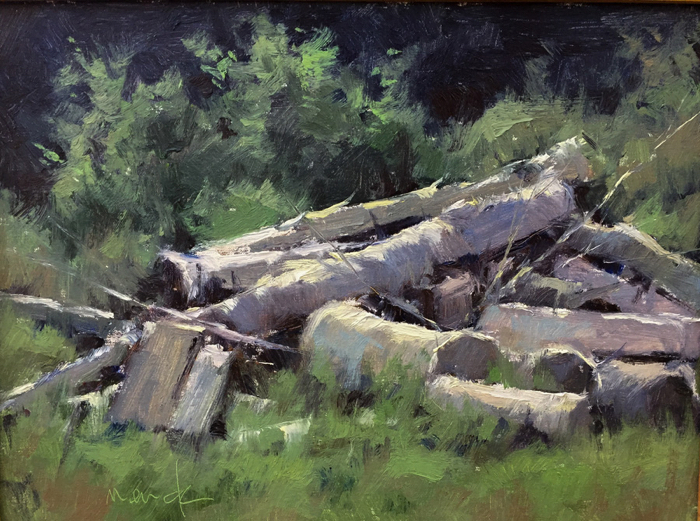 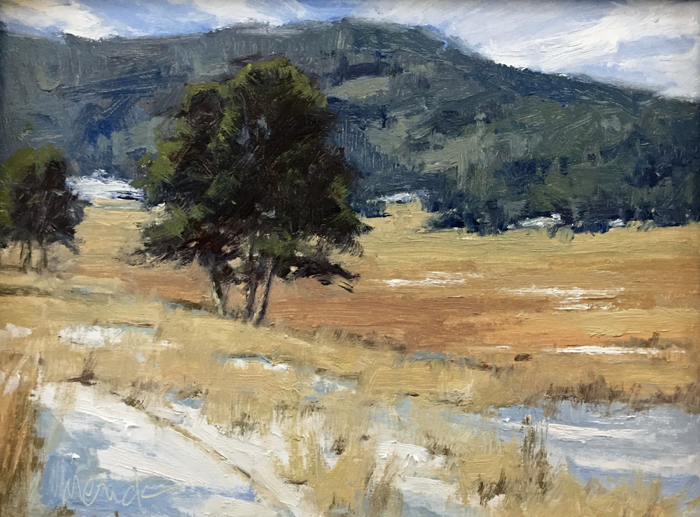 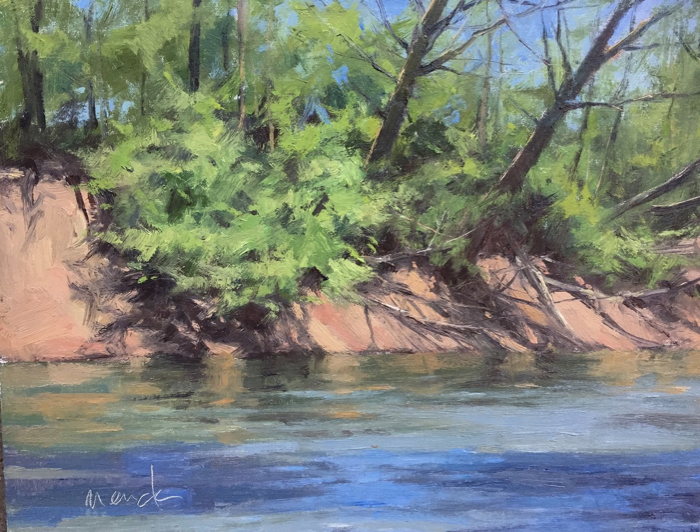 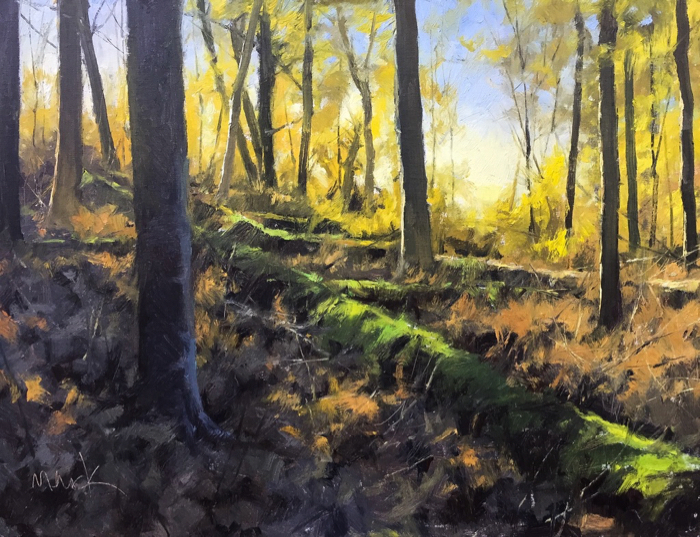 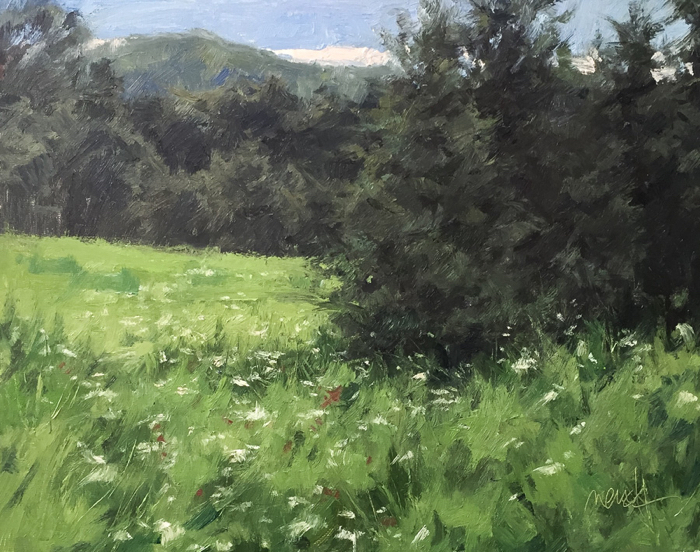 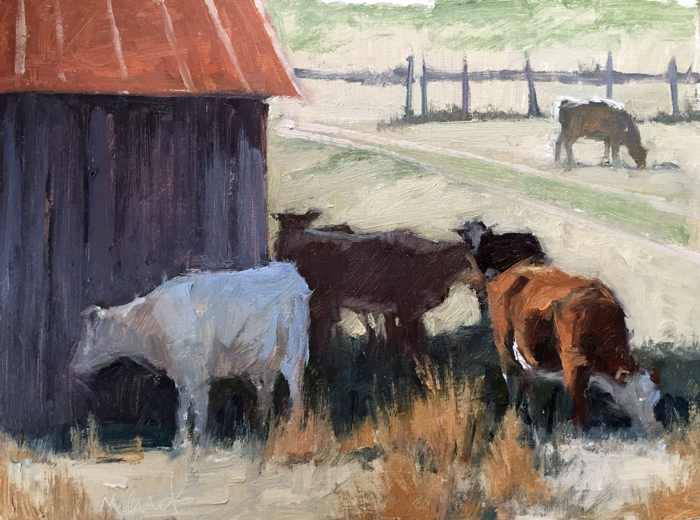 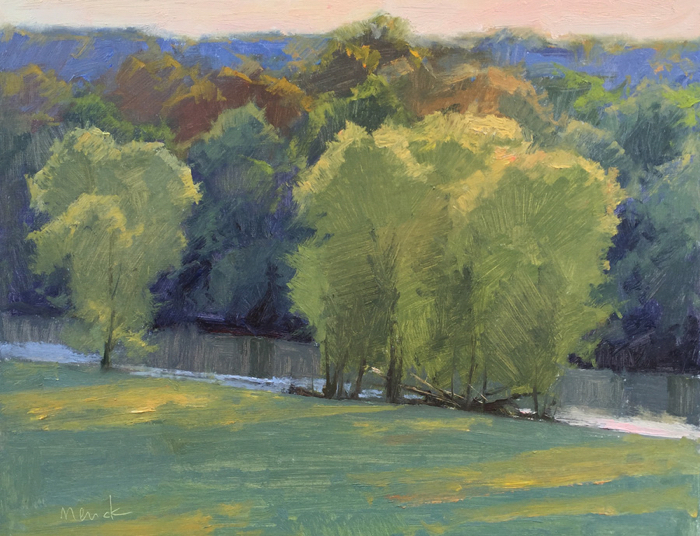 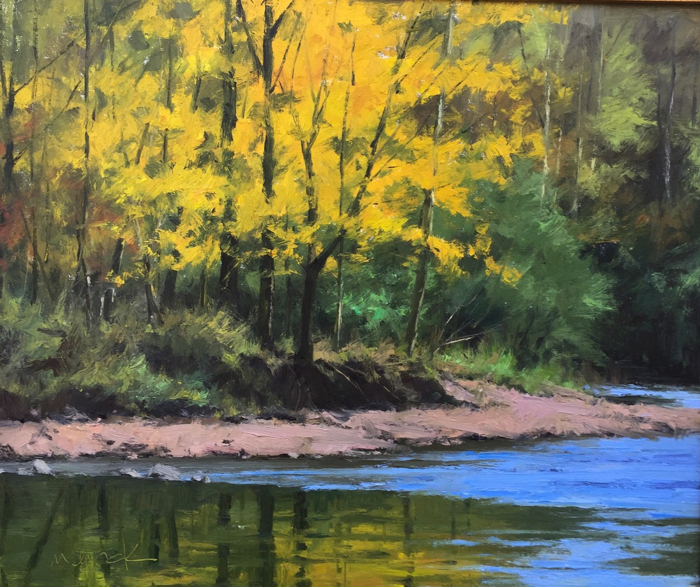 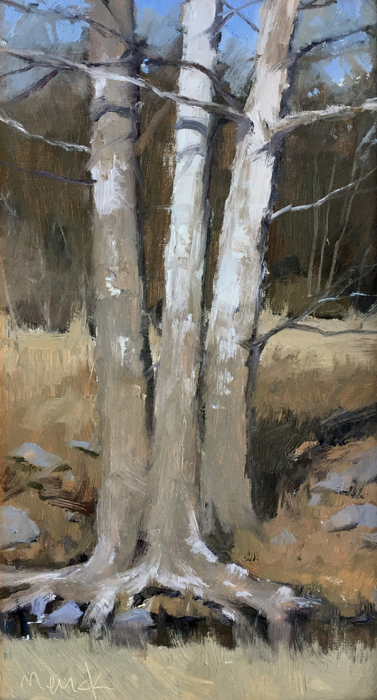 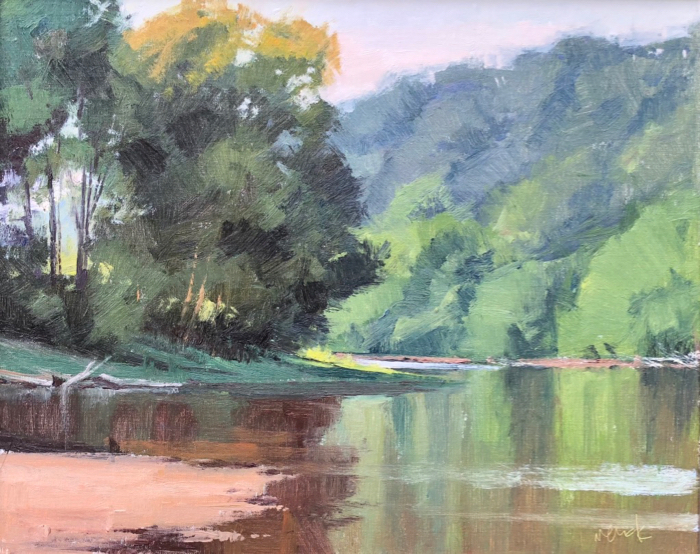 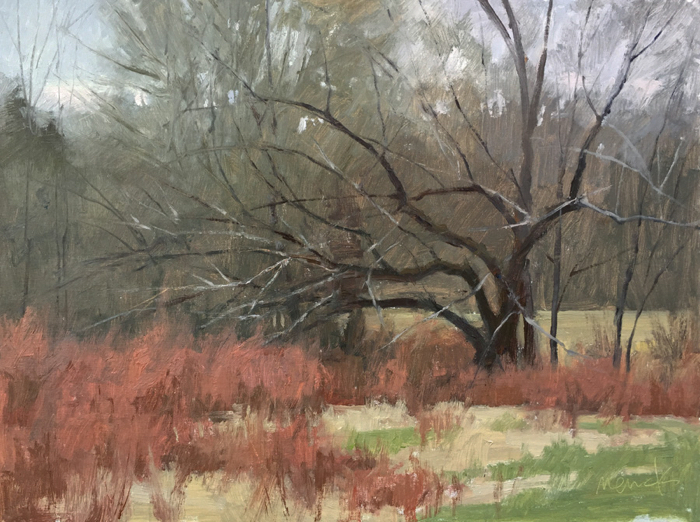 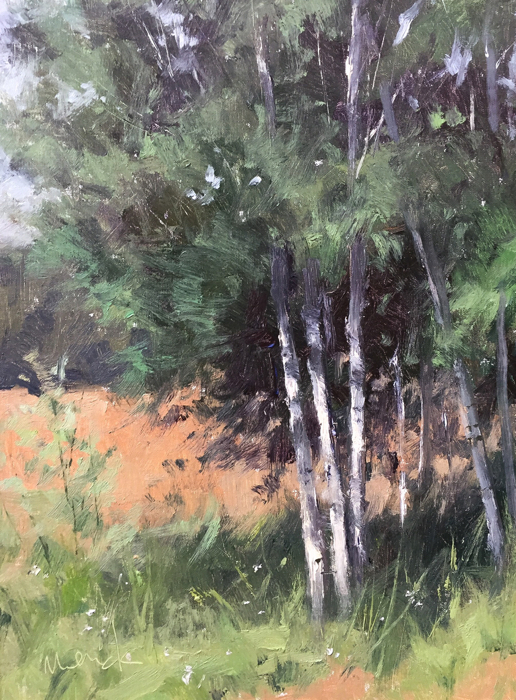 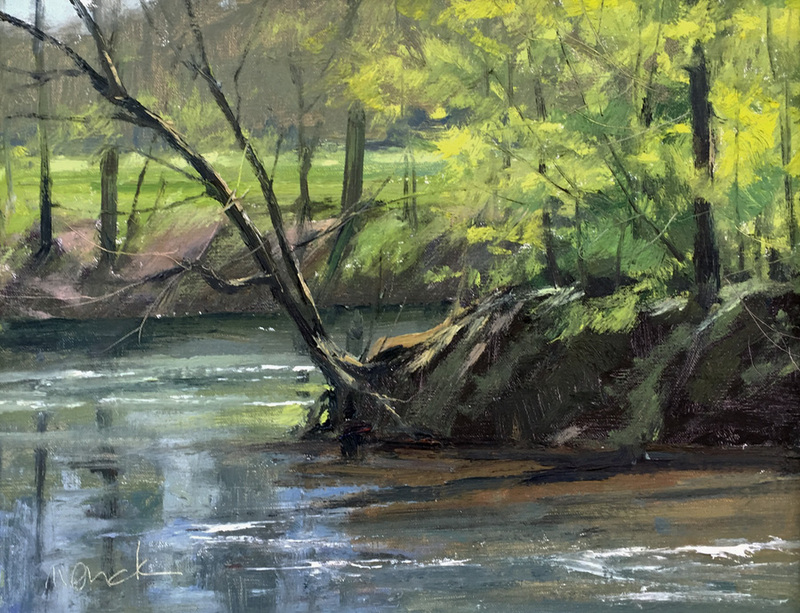 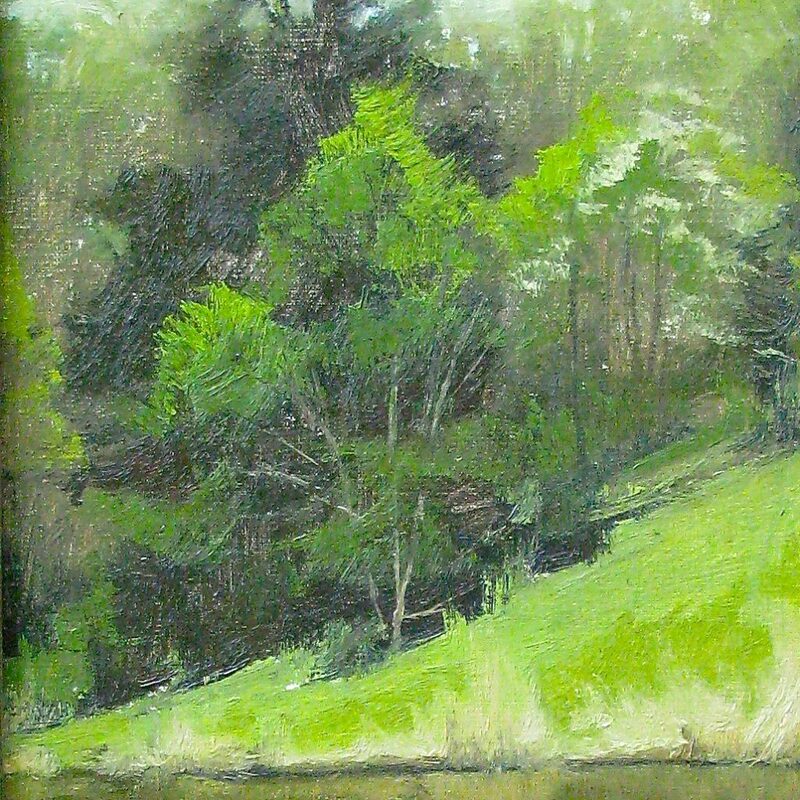 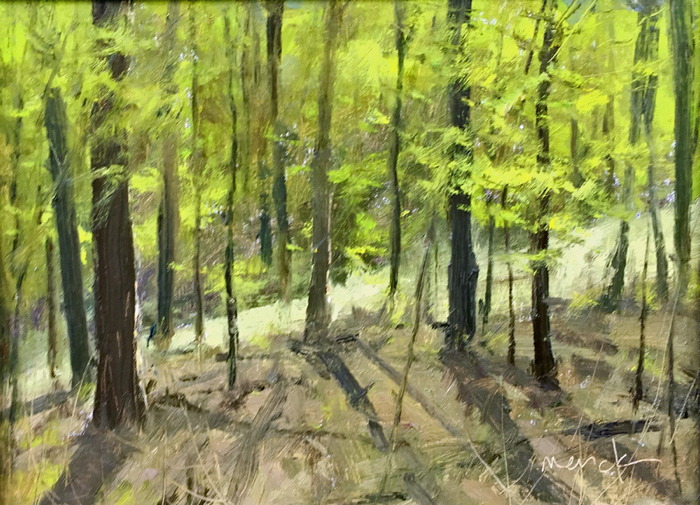 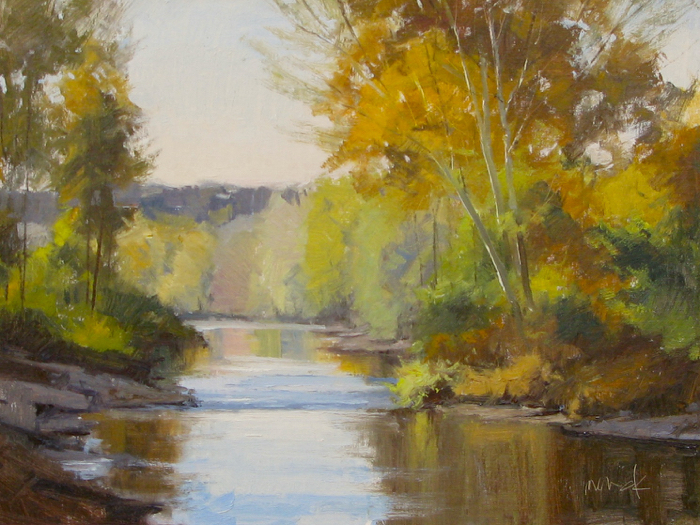 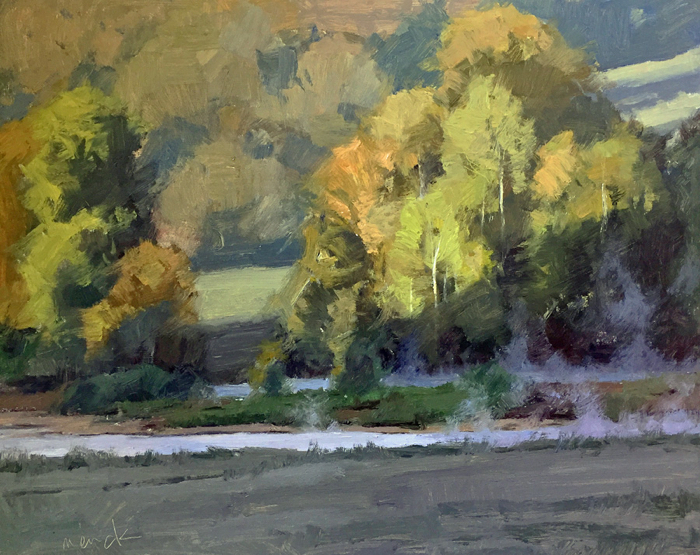 Kevin is now committed to painting the landscape “en plein air.” Being an avid outdoorsman for years, Kevin has a deep love and respect for the outdoors. 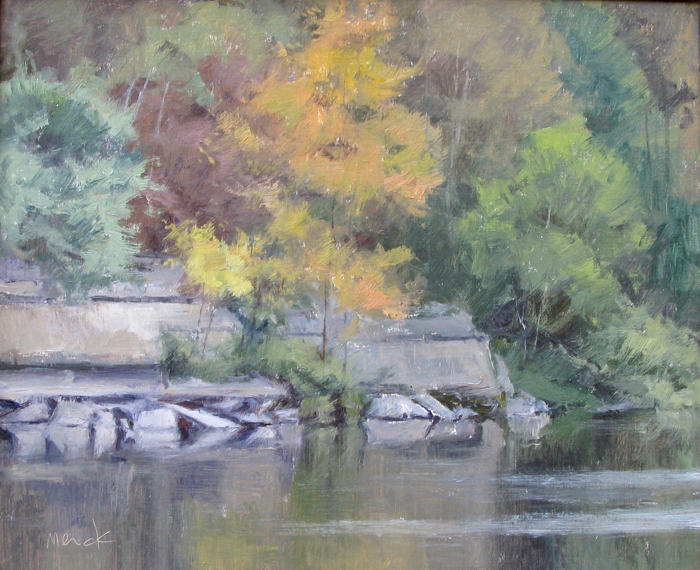 “I remember sitting in a duck blind or deer stand and trying to figure out how to capture what I was seeing on canvas. 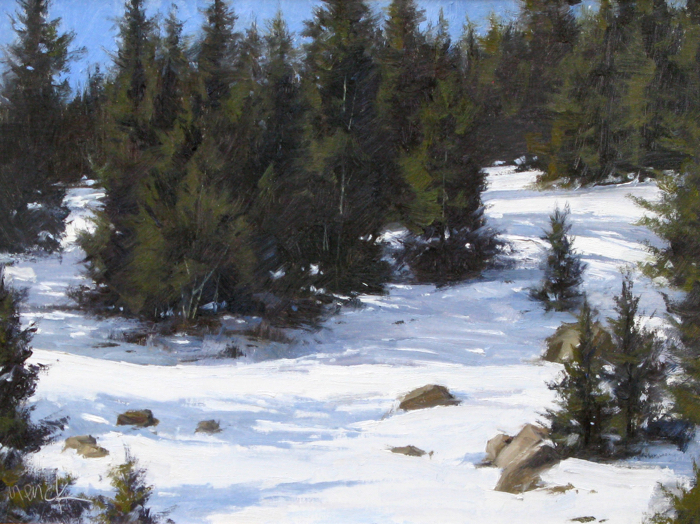 To get that atmosphere, to make a cold day look cold and hot days hot. 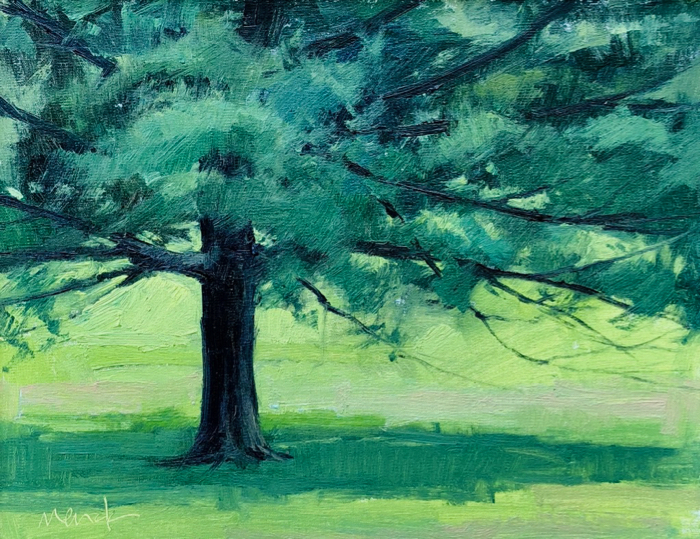 I want the viewer to look at it and know what it actually was to be there.” Kevin lives and works in Nashville.